Recently reburbished. 17 rooms. Ensuite. Free Wifi available in bedrooms and public areas. We cater for conferences and business meetings and we love weddings. Central Westerham. Delightful surroundings. Near Greensand Way & North Downs Way. Just outside the town of Westerham, each of our bedrooms is en suite and beautifully furnished. The executive suite with its freestanding bath, two-poster bed and seperate living space is not to be missed! We also have family rooms with seperate bedrooms and bunk beds for children (up to age 13), as well as disabled friendly rooms. Breakfast is included. 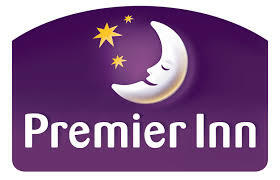 You will always find the best hotel rates directly with us. We are a 500 year old farmhouse a little way out of the town centre, overlooking the open countyside of the North Downs. The house is beamed with low ceilings and is full of character, furnished with antiques and has a large inglenook fireplace. The rooms are tastefully furnished and complemented with crisp white linen, tea and coffee making facilities and even little touches such as hot water bottles. The guest lounge is comfortably furnished and in the cooler months there is always a log fire to sit around. The large garden is at the guests’ disposal and there is ample seating to admire the view from. We have a large offroad carpark. For three consecutive years we have attained a Silver Award from Visit England and also their Breakfast Award. We are also rated the best accommodation in Westerham on Tripadviser with 72 Excellent reviews out of 77. May be suitable for people with disabilities. Farm building. Parking is available nearby at Bradbourne car park (TN13 3YD) for £7 per day. Is it our beds, our food, our great value or our people that people love so much? Perhaps it’s a bit of everything. After a long day of exploring, you can look forward to a tasty meal back at our in-house Thyme restaurant. A number of private homes have accommodation available at certain times of year. Click here to go to Homestay page. The best way to describe the bunkhouse is that it is run in a similar way to that of a youth hostel. 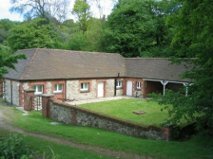 The bunkhouse is a converted farm building, which has two bedrooms, one that sleeps 8 and the other 6, there are separate male and female toilets, and the building is fully central heated. The beds are bunk beds, with storage for clothes under the bottom bunks, pillows and blankets are NOT provided. 2 showers, one in male wash area and 1 in female wash area, 3 washbasins per bathroom 2 toilets and 1 urinal (male), 2 toilets (female) Free use of Servis washer/dryer located in entrance to one bathroom areas. Cooking facilities include: 1 large range cooker with 4 gas rings plus wok burner and additional plate warmer. Grill plus two separate ovens. 2 fridges and 2 upright freezers for food storage, plus Matsui 700W microwave and large 6 slice manual timer toaster. 1 urn and 2 kettles available for hot drinks. Good range of cutlery and crockery on site plus cooking utensils including mixing bowls, pots and pans etc. Combined living/dining area. Dining area consists of large wooden table and benches which can sit up 14 people, ideal for conferencing or meetings as facilities are available for internet access if required. Living area can seat up 14 with 4 large sofas and two separate comfy wing chairs. Board games, jigsaw puzzles and reading material are available for guests’ entertainment in the evenings. Ungraded B&B. 1 double, 1 twin room. Ensuite. Extra beds available. Self-contained. Near Greensand Way & North Downs Way. 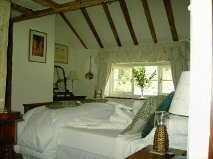 2 stars B&B 1 single, 2 twin rooms. Shared bathroom. May be suitable for people with disabilities. Near Greensand Way & North Downs Way. May be suitable for people with disabilities. Farm building. Self-contained. Ungraded B&B. 1 double, 2 twin rooms. 1 private bathroom, rest shared shared. Ungraded budget hotel listed by Visit England. 38-58 family rooms. Ensuite. Access to local road network. May be suitable for people with disabilities. Near Greensand Way & North Downs Way. 1 double, 1 twin room. Ensuite. Farm building. Near Eden Valley Walk. Ungraded B&B. 1 single, 1 double, 1 twin room. 1 ensuite, rest private bathrooms. Ungraded pub offering accommodation. 6 family rooms. Ensuite. May be suitable for people with disabilities. Near Eden Valley Walk. Ungraded B&B. 1 double room. Ensuite. Extra beds available. Farm building. Self-catering option. Self-contained. Near Eden Valley Walk. 1 family, 2 twin rooms. 2 ensuite, 1 private bathroom. Self-catering option. Self-contained. Near Eden Valley Walk. 2 family rooms. 1 ensuite, 1 shared bathroom. Farm building. Near Eden Valley Walk & Greensand Way. Ungraded B&B. 1 single, 2 double rooms. 1 private bathroom, 1 shared bathroom. Near Darent Valley Path & Greensand Way. 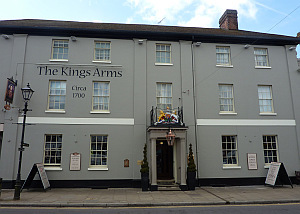 AA 4 stars Guest Accommodation listed by Visit England. 1 family room. Ensuite. May take dogs. Self-contained. Near Greensand Way. Ungraded B&B. 1 double, 1 twin room. Ensuite. B&B awaiting grading. 1 double room. Self-catering option. Self-contained. 1 twin room. Private bathroom. Sofa bed available. 3 nights minimum. May be suitable for people with disabilities. 3 stars hotel. 41 family rooms. Ensuite. May be suitable for people with disabilities. May take dogs. Ungraded B&B. 2 twin, 1 family room. 2 ensuite, 1 private bathroom. 2 nights minimum. Near Greensand Way. Timbertop Cottage is a one-bedroomed house with a sofabed available in its sitting room. The property has its own kitchen, garden, sitting room, bathroom and parking. Ungraded B&B. 1 double, 1 twin room. Private bathroom. 4 twin rooms. 2 ensuite, 2 shared bathroom. Wheelchair access so may be suitable for people with disabilities. Ungraded B&B. 3 double rooms. Ensuite or private bathroom. Near Darent Valley Path & North Downs Way. AA 3 stars Best Western hotel listed by Heart of Kent. 59 rooms. Ensuite. Ungraded B&B. 1 single, 1 double, 1 twin room. Ensuite.